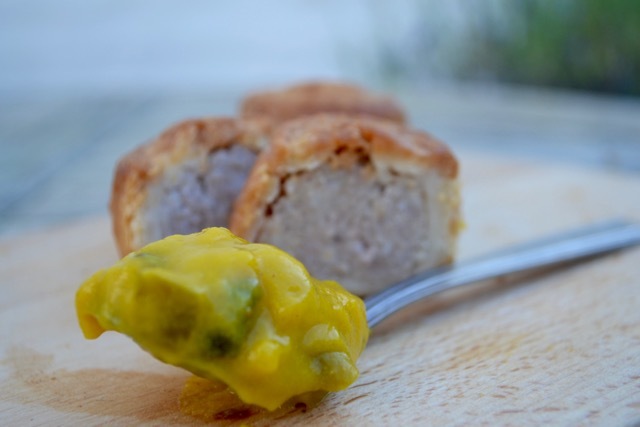 Many bars are now serving homemade bar snacks such as sausage rolls and scotch eggs, in between kitchen opening times, as well as running charcuterie or cheese evenings with beer pairings. Both are a great way to increase sales and up your margins! Our Craft Beer Experience is about enjoying craft beer with food and to build confidence in pairing food and beer. So on one particularly sunny afternoon at our Kensington office, we chilled plenty of every type of beer, stocked up with an assortment of bar snacks and headed up to the roof terrace for some serious research. We look for three things to find the beer that pairs best with each type of food. 1. Balance: Stronger, more robust beers pair well with stronger, richer foods. Neither the food nor the beer should overpower the other. 2. Compare & Contrast: There should be a harmony on your taste buds from an element of the beer with the food. The hops, malts, yeast and any fruit or spice elements in the beer should either contrast or complement an element of the food. 3. Enhance Flavours: Aromas and flavours in the beer can enhance similar flavours in the food. Often herbs, spices or sweet aromas and flavours can solidify a great pairing. We took a selection of cheese including Snowdonia Black Bomber Cheddar, Spanish Manchego and Wensleydale with apricots. 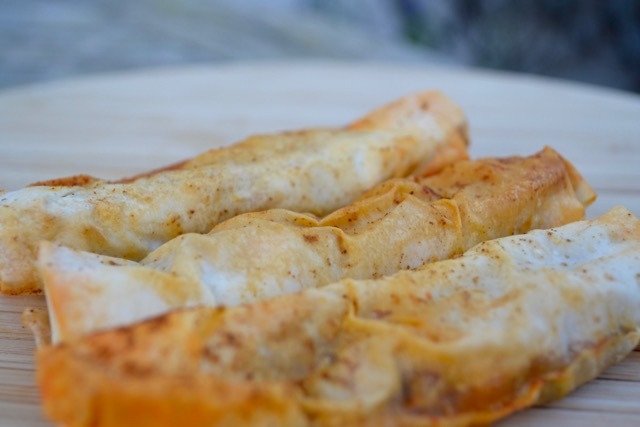 Everyone knows cheese goes well with wine but have you tried it with beer? First off, the rich, creamy, Black Bomber cheddar requires a hearty stout to meet it's strength and balance the creaminess. The roasted malts and vanilla in Dominion Oak Barrel Stout was a great match to this gorgeous cheddar. An IPA works as well as the strong hops character cuts through the richness of the cheddar. Your choice! We chose Fordham Copperhead Ale to match with Manchego which is a nuttier and harder cheese than the cheddar. The nuttiness was matched by the malts in the ale and neither overpowered the other. Finally, the Wensleydale with apricots. This had us all divided as we tried many different beers but without success. Until we tried Dominion Cherry Blossom Lager, which if truth be told, none of us expected to work with this cheese. But it did! The sweetness of the apricots enhanced the sweetness in the cherry lager and both were balanced in terms of lightness and flavour. If you don't believe us, try it! We tried a classic plate of French Saucisson, Salami Napoli & Seleccion Iberico de Bellota. We tried several beers with each type of meat to find the one that paired perfectly; Dominion Beach House Pilsner really picked out the peppery flavours of the saucisson and Tailgate Sorta IPA cut through the fat in the Salami Napoli beautifully. Each type of Iberico worked best with a different beer; the richness of the roasted malts in Saugatuck ESB complemented the richness of dark Iberico, the medium Iberico aromatic pork loin was flavoured with herbs and matched with the herby flavour hops and aromatic treacle malts in Fordham Copperhead. And the lightest chorizo sausage spiced with paprika and garlic was just perfect with the spicy US hops and rich malts in Cucapa Chupacabras APA. 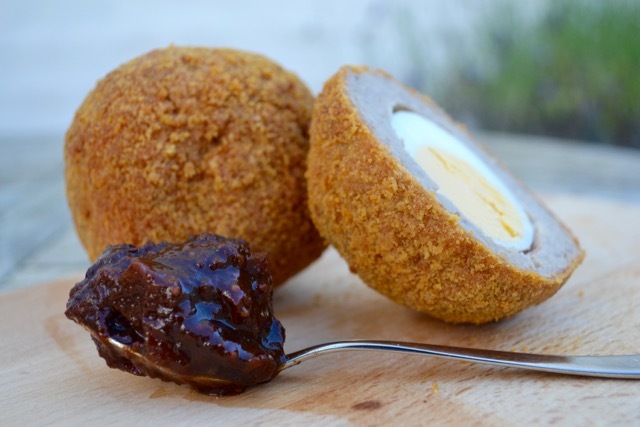 Scotch eggs are a pub classic and we tried several ales with this one. Including the chutney which added a treacly sweetness to the snack which we felt worked beautifully with Fordham Copperhead Amber Ale. There was a delicious harmony between the malty sweetness of the ale and the sweetness in the chutney. Proper Yum! 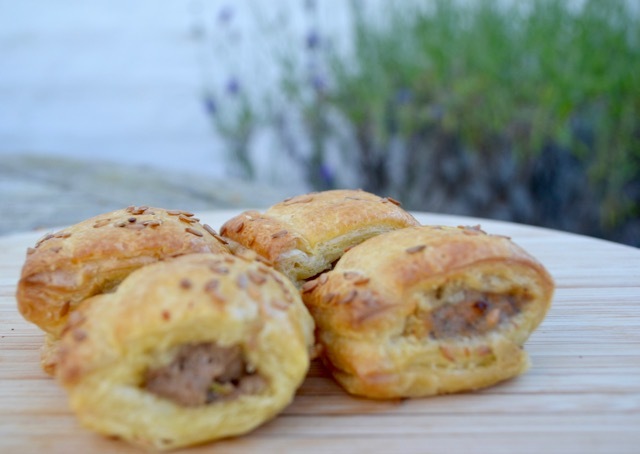 These were accompanied by a delicious English Cider & Horseradish Wholegrain Mustard. Any kind of spice or heat tend to work well an IPA. We chose Fordham Route 1 IPA as the spicy hops enhanced the heat in the horseradish and is robust enough not to be overpowered by the rich sausagemeat and pastry. The dominant flavour in these little tasty bites is a sweet creamy flavour from the sweet peppers and the creamy cheese. Fordham Gypsy Lager was perfectly matched with this snack, picking out the creaminess and sweetness of the beer. The additional benefits of pairing with a light beer is that the crispness of the lager provides welcome refreshment to the heat of the hot peppers. The powerful flavours of chilli, soya and peanuts in a satay need a beer with enough oomph to match it. We found two great options, both very different. Firstly, we had to try Tailgate Peanut Butter Milk Stout for obvious reasons. The creaminess of the milk stout balanced the spice in the dish while the peanut butter flavour was enhanced by the satay. An obvious pairing... if you like peanuts. Another pairing that worked just as well was Saugatuck Backyard IPA. The spicy hops used in this IPA were enhanced by the Satay spice whilst offering a more contrasted pairing than the milk stout. If you're not keen on going all out on the peanuts, this IPA is a great match. 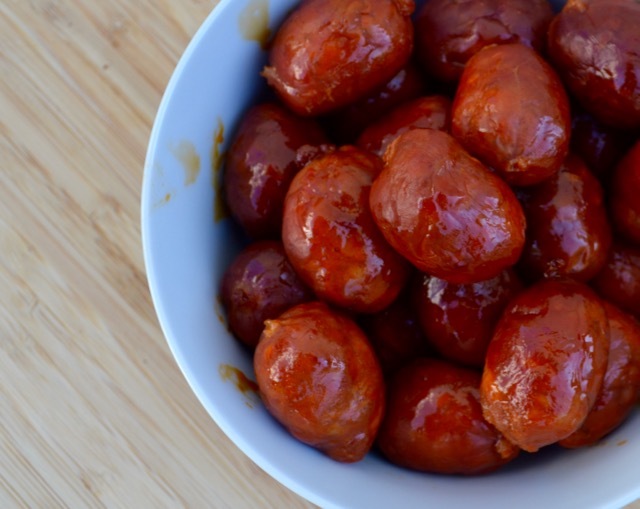 These mini chorizo sausages give one hell of a spicy kick. So the perfect contrast is a blonde ale. This Mexican Blonde was not overpowered by the fiery paprika but was cool and creamy enough to dispel the heat in your mouth. Cucapa Clasica is a Blonde Ale with a hearty flavour profile that can stand up to spicy food, proud and Mexican. Or for a completely different pairing with spicy chorizo, reach for a milk stout. Not all stouts will work as they could fight each other for dominance on the palate but Tontine Milk Stout balanced the fire with the creamy lactose without losing any of the flavour in the beer. We recommend you try this one! 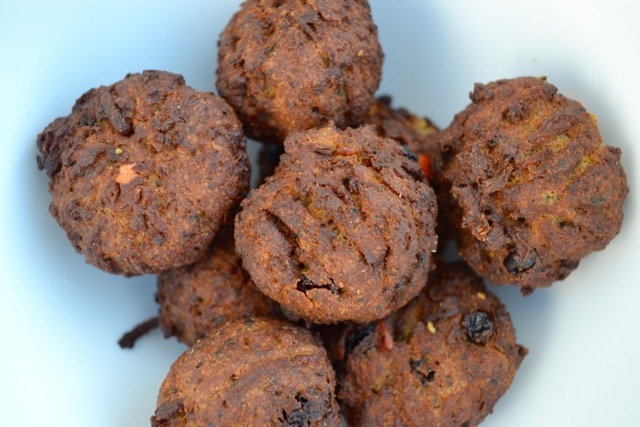 These falafels were sweet and spicy and calling out for an Amber beer to balance the spiciness but enhance the sweetness. Fordham Copperhead Amber Ale is the ultimate amber ale; smooth and balanced with a liquorice, raisiny malty sweetness that paired perfectly with the sweet potato. These were little filo wrapped chicken snacks with lime and coriander. 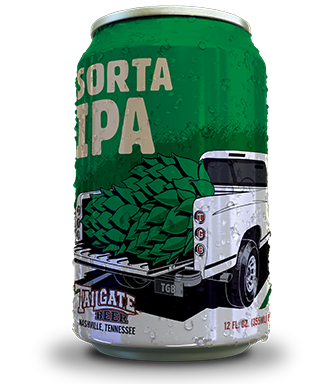 Anything with a bit of spice and coriander is worth trying with Tailgate IPA as the hops in this beer are really enhanced by coriander. We weren't disappointed! Another option that worked with this dish was Cucapa Chupacabras, a Mexican American style Pale Ale. The earthy chicken flavours brought out the earthy malts in the APA so it was another great match for different reasons. A great example of how a food's flavour can be changed depending on the drink you enjoy with it. Smoked salmon is harder than you think to pair with a beer as it can so easily become over powered and clash. Saugatuck Oval Beach Blonde has a beautiful subtle flavour profile that provides a subtle citrus contrast to smoked salmon. 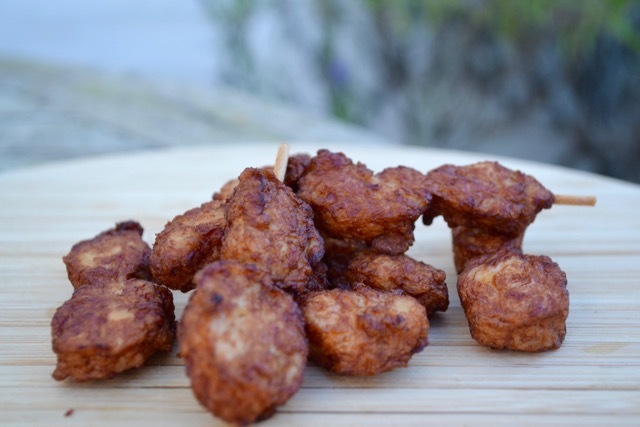 The oaky, smoky dominant flavours in this snack requires a light lager or ale to stand up to it and yet not take over. We found this blonde beer pipped a lager for this pairing and was better balanced on the palate. With a rounded, earthy mushroom flavour through the pate, Fordham Copperhead Amber Ale matched in terms of strength. The beer also picked out and enhanced the nutty flavour in the snack. Copperhead is a great beer for pairing with burgers, sausages and mushrooms. An obvious and delicious pairing. Like smoked salmon, this mousse was not easy at first to pair with a beer. The creamy, game flavours from the foie gras along with the saltiness of the olive and anchovy is a complex and unusual flavour set. We found that, like the salmon, a blonde ale balanced well in terms of lightness but had enough of a hoppy profile to stand up to the rich flavour of the mousse. Neither overpowered the other and the creaminess in the Oval Beach Blonde Ale calms the saltiness. More of an unusual bar snack but a delicious pairing if you plan a new menu or beer and food matching evening. We hope this provides food for thought (literally!) and gives you some ideas to put your own pairing menu together or add recommended beers to your bar snacks menu! We're always happy to help if you want some suggestions or help host a beer pairing evening at your bar.